The government is to investigate claims that increasing numbers of parents of children with Asperger's Syndrome are being falsely accused of abuse. The investigation follows revelations by BBC Five Live. It is estimated around 48,000 children in Britain could have Asperger's, a condition under which patients can have high IQs, but lack social skills. 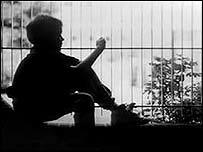 Experts fear some local authorities misrepresent outwardly odd behaviour and suspect parents of abuse. Those holding that view include Professor Simon Baron-Cohen, of Cambridge University. He says some councils have "turned the clock back 50 years" in their investigations of children with the syndrome. Professor Baron-Cohen said: "It has come to my attention that an increasing number of parents of children with Asperger's are being regarded with suspicion when their child shows behavioural problems at school." He said that books such as last year's bestseller "The Curious Incident of the Dog in the Night Time" had increased awareness of the condition. "This increase in recognition though has revealed that schools and social services have been mis-recognising it and putting it down to bad parenting," he added. Large numbers of worried parents have also been contacting charities such as the National Autism Society, which is currently helping a mother accused of Munchausen's By Proxy, a controversial diagnosis where mothers are accused of deliberately harming their own children. Education Minister Lord Filkin told BBC Radio Five Live that his department would be urgently investigating the allegations. He said: "I'm going to be contacting the main charities associated with autism and Professor Baron-Cohen and parents groups to look into this issue specifically." Debbie Storey, of Rayleigh, Essex, almost had both her children taken into care. She and her husband Michael had removed their sons Ben, 15, and Sam, 10, from their schools after they fell prey to severe bullying. "It got so bad he [one of the boys] self harmed and took a big chunk out of his own flesh," she said. Both boys are now taught at home, leading to several battles with the local education authority and social services who believed the children should return to school. Last year, a confidential report prepared for Essex County Council accused Debbie and her husband of psychologically abusing their children. The report concluded that: "Mr and Mrs Storey are consciously or unconsciously using their children to meet their own needs. "They appear to lack an appropriate awareness and consideration of the children's needs and this in our view has and continues to negatively affect both Ben and Sam." Ben was summoned to give evidence before a child protection panel in front of 22 people. He said: "I only had five minutes to say why I didn't think I should be taken into care, which I don't think is very fair." Just a few minutes later, the panel chairman went to see Ben. "He said: 'Right you are on the at risk register because your parents are abusing you emotionally and physically'," said Ben. "At first I was numbed by that information, just the way that it was said, quick sharp. "The next words out of his mouth were: 'it concerns me you are not into sport and fashion like normal children of your age'." The family's legal team challenged the council's decision, and last week Debbie and Michael received a letter from the council to say their children were no longer being considered for care proceedings. A spokesman for Essex County Council said the authority never commented on individual cases. Cathy Ashley, of the Family Rights Group said: "We have been getting increasing numbers of calls from parents in this situation. "In some cases the behaviour of children has been wrongly attributed to bad parenting and in others the stresses of caring for a child with such a condition, without appropriate support from a local authority, has led to a crisis and the social services have intervened." But John Coughlan, of the Association of Directors of Social Services, said: "Just because a child has Asperger's doesn't necessarily mean that there isn't a problem with parenting. "Some studies have shown the children who suffer from disabilities are at potentially greater risk of abuse so we always have to look carefully at every case." Matthew Chapman's investigation The Five Live Report: The Curious Battle can be heard on the Worricker Show on BBC Radio Five Live on Sunday at 10.00BST.